You’ll find Watersound is a carefully planned community of homes, cottages, and upscale condominiums located ideally along Florida’s Scenic 30A on the Emerald Coast. 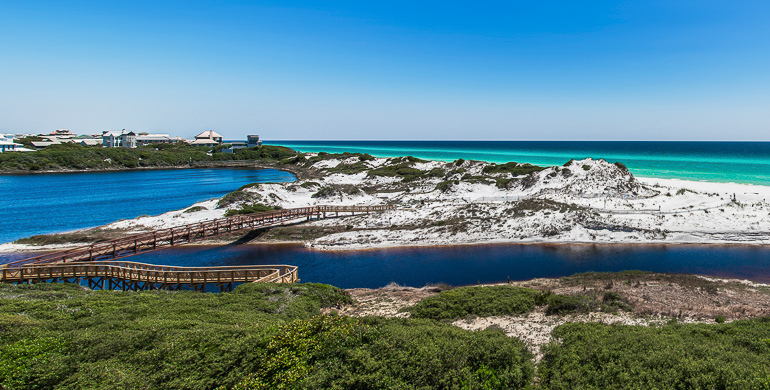 This is a unique development with several neighborhoods within a planned 1,400 acre development, all which offer one of the most desirable beach lifestyles on the Emerald Coast. 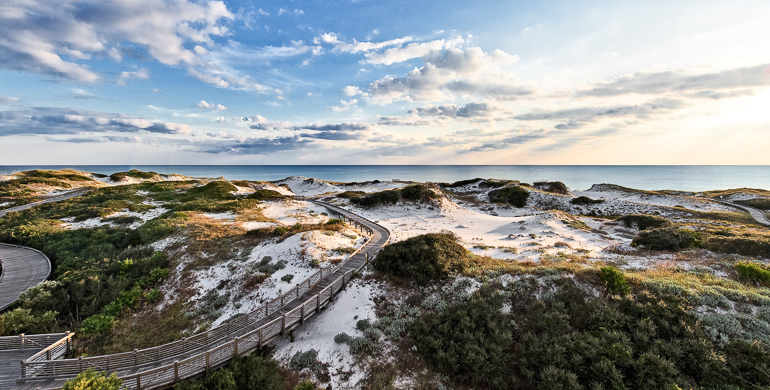 The relaxing setting includes stunning views of grasslands and dunes, accented by the renowned turquoise waters of the Gulf of Mexico. There are few places in the world with this natural landscape and owning a home along this stretch is invaluable. 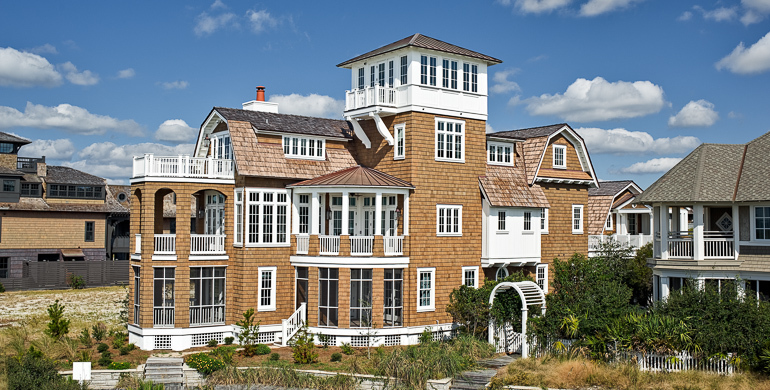 Watersound is a premier gated community that offers an impressive range of residences, ranging from cottage style homes to larger estates. Home sites start at $499,000 and completed homes average over $1.2 million. While the community did not suffer the large drop in prices that affected parts of Florida, the current market still offers real opportunities for buyers. Construction of new homes has resumed and 2015 is projected to show solid increases in completed home prices and home sites. Golfing at Camp Creek Golf Club, ranked by Golfweek in 2014 as one of the “Best Resort Golf Courses” in America. Spending time at the InnSpa, receiving the pampering and care you want and deserve. Visit the lush areas of preserved original natural growth with their own special parks and winding trails. Enjoy your favorite book on the talcum beaches for which the Emerald Coast is known, while avoiding the crowds and noises so common elsewhere. The concept behind Watersound is focused on providing a refuge from the hustle and bustle we all find so draining at times. Many homeowners purchase property to serve as a regular getaway, and others come to live in the middle of paradise while enjoying solitude and a peaceful environment. With today’s tech-based careers, residents can spend the day on the web, and then totally relax on the beaches or golf course. In fact, the community’s course was judged the Course of the Millenium by Travel+Leisure. 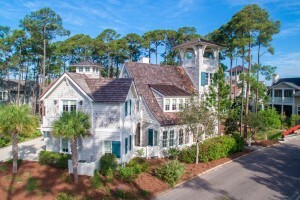 The unique environment of Watersound, with its location on Scenic Highway 30A, allows you to truly sense you live far from the crowd. At the same time, you are only minutes from world-class shopping, dining and a host of activities and cultural facilities. The mixture of a fabled beach and an inland lake with large swaths of native vegetation and Florida pines, create a relaxing experience any time of the year.